If you’re looking to add the style and comfort of carpet to your residential or commercial setting, be sure to work with the experts at McCalls Carpet One Floor & Home in Nashville and Franklin. We offer one of the area’s best selections of quality carpets, and we also offer design and installation services to make sure that you make the perfect choice. So, be sure to visit our showrooms to get started on that next project! Carpet is considered one of the most versatile flooring options because there are so many different types you can choose. In residential settings, we recommend choosing berber, frieze, or shag carpet. Berber carpet is most popular, as it seems to combine style with durability to suit a variety of home settings. Frieze carpet, however, is a better choice for areas with heavy foot traffic, while shag carpet has a thick construction that’s great for luxurious designs. In commercial settings, durability is more of a concern, so commercial carpet is stronger and tougher than residential carpet. It isn’t as comfortable underfoot, but it nonetheless is available in different colors and patterns. Carpet tiles are popular in commercial settings because they are relatively easy to install and maintain. No matter where you are installing a new carpet, you’ll need to consider factors such as pile height, density, and twist. Carpet flooring is made to be durable and stand up to everyday household challenges. Popular spaces for carpet include bedrooms, living rooms, dens, and children’s playrooms. Stain resistant carpets can be installed in virtually any room of your home, and can even be installed in hallways, on stairs, and in some cases a finished basement. We recommend avoiding installing carpet in bathrooms, kitchens, and laundry rooms due to the amount of humidity and moisture. McCalls Carpet One Floor & Home is home to a great selection of high-quality residential and commercial carpet options. We offer styles from Relax, it’s… Lees, Tigressa, and Innovia, all of which are exclusive to Carpet One Floor & Home stores. And, we have styles from Stanton Carpet. Carpets feature several different styles for you to choose. The different types of piles and fibers all play a role in how a carpet will function in your home. 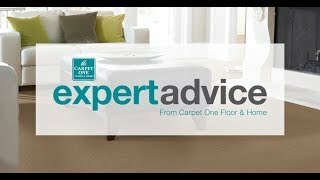 Caring for your carpet the right way can actually help to extend its life in your home. We recommend considering professional cleaning every few years, but always check the manufacturing warranty before using new cleaners.